L.L.L4L.L.L. : Future Ready?? Is your library? Future Ready?? Is your library? 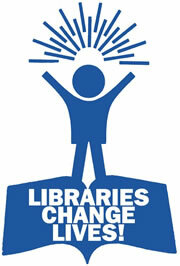 "Stephen Abram is ably capable of providing tips and techniques for strategic thinking and innovation in libraries. He has visited hundreds of libraries in many different countries and is uniquely positioned to spark ideas and insights to the listeners of this blog." "There's no better time to be a TL...."